Miniature roses pack a punch of color in a small space. These compact bushes are around 2’ tall with clusters of small, 1-2” lightly scented blossoms. Perfect for small gardens, patio and containers. Groundcover roses are fast growing, low spreading plants. Perfect for continuous color on slopes, steep banks and along driveways. Plants are 1’-2’ tall vigorous and care-free. 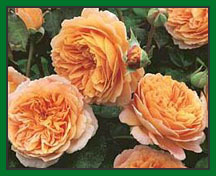 Antique roses offer old fashioned charm to your landscape. Grow along a fence or arbor for beautiful color and heady scent. Tree roses add elegance and beauty to your landscape with a delightful, blooming cascade of summer color. © 2016 Romence Gardens, Inc.